A recent Facebook thread reminded me of the awesomeness that is Hackers (1995). I have a million things I want to say about this movie, but for now I’ll just say that to me, it’s the best representation of what the coding “flow” feels like. Here are three other reasons this movie is rad. 1. The authentic hacker bad guys. See how terrifying Penn Jillette looks? Doesn’t Fisher Stevens just ooze menace? 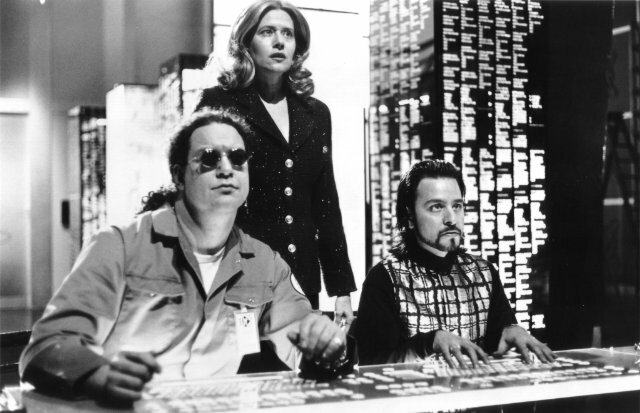 Thing is, this is what a sizable percentage of hackers really look like. Bonus: That’s Lorraine Bracco, the psychiatrist from The Sopranos, as boss-lady Margo. 2. The authentic hacker good guys. I swear, I have dated the real-life version of every one of these characters, especially Zero Cool. The look, the persona, the shared insane petty competitiveness – this movie nails it. 3. Presaging Google Glass. 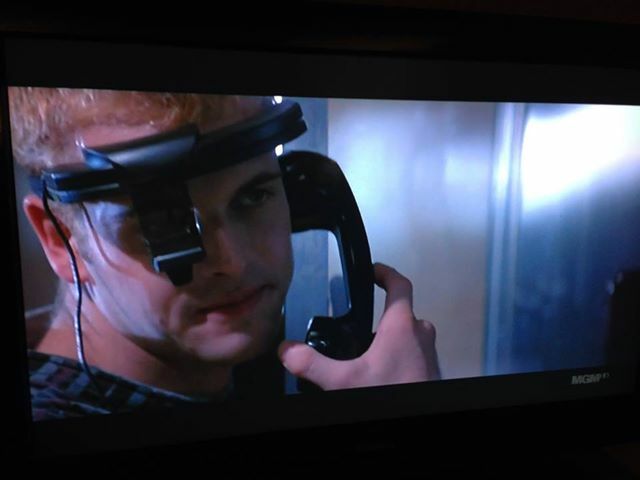 Hat tip to the lovely and talented Layla Rudy for pointing this out, writing, “Can we talk about how Google stole the Glass idea from Jonny Lee Miller?” Obviously this wasn’t the first such head-mounted camera fantasy, but it’s fun to think of how that has now come true. Man, now I have to go watch this movie again. Dang.